E3Live BrainOn and Renew Me capsules have totally changed my life and perspective in a way that I didn’t think would be possible. Not do I only have so much energy, I feel good and have totally changed my outlook on life. This is the real deal and it’s just week 1, I can’t wait to see what is in store for the rest of my 30 day challenge. Monday – Took E3Live and BrainON – no real significant changes. Tuesday – Took E3Live and BrainON – began to see myself becoming a little more focused @ work (working a tedious 9-6 job on the computer all day can be tough, but I got through this day with E3Live. ran home, had some more e3 live and had an online class for 3 hours. E3Live really gave me that extra boost and energy to get focused and pay attention even though I was tired after a LONG day of work! Weds – got up early – put in 1 hr of a work out, went to work, got home and was feeling great! Got energy to study and hit the books till late at night! Thursday – E3Live is really kicking in at this point I am feeling great, and have a POSITIVE outlook on everything. Got up early, worked out, went to work, came home and had class again till 11 PM at night. Only way I got through this rough day was with E3Live!!! Friday – same routine as previous days. At this point I would also like to note, my appetite was changing. I didn’t want to eat as much as I usually do, and I enjoyed drinking water and being hydrated throughout the day. Saturday – enjoyed this wonderful day by relaxing and having some e3 live in NYC!! Sunday – no more times for break, studying all day but having E3Live is giving me that focus i need!!! Follow our 10 participants on the http://www.E3LiveChallenge.com blog. 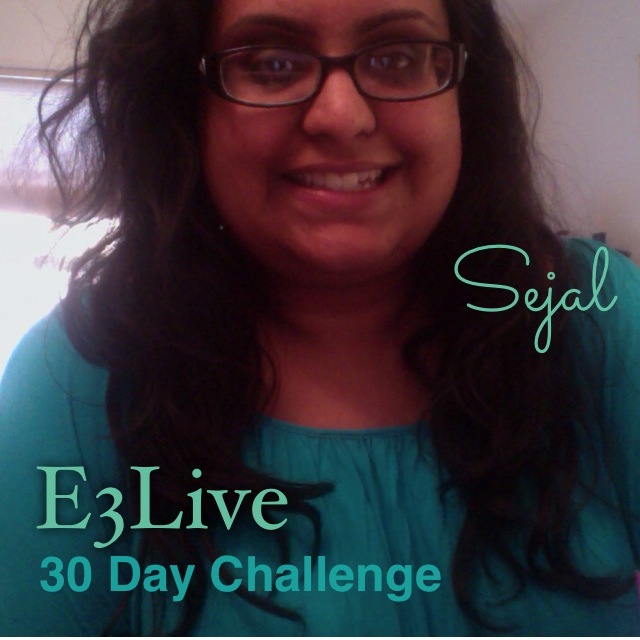 And start your own E3Live 30 Day Challenge too! Wish them well! 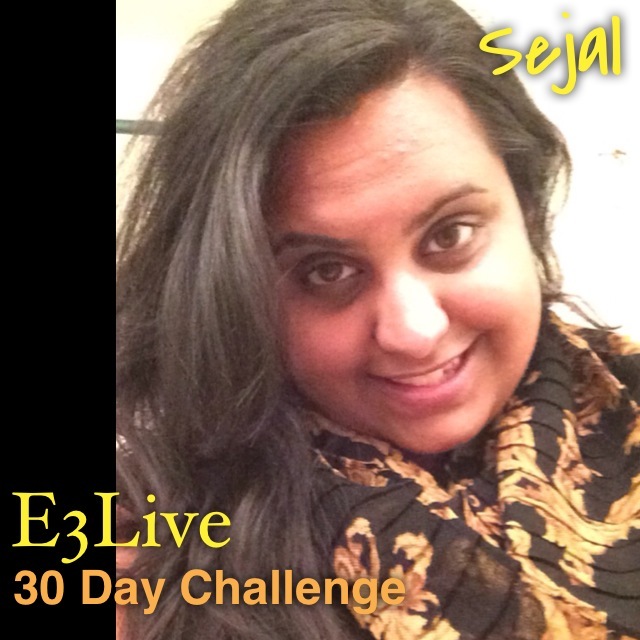 #e3live #e3live30daychallenge #brainon Way to go Sejal! 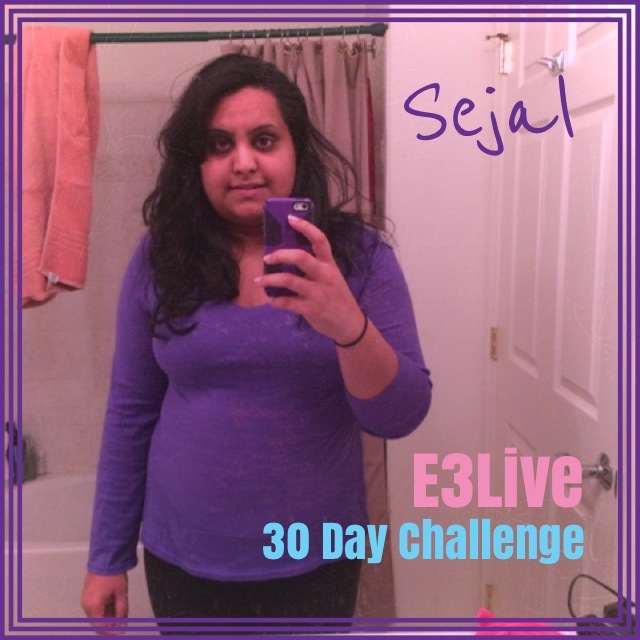 E3Live 30 Day Challenge – Meet Sejal! 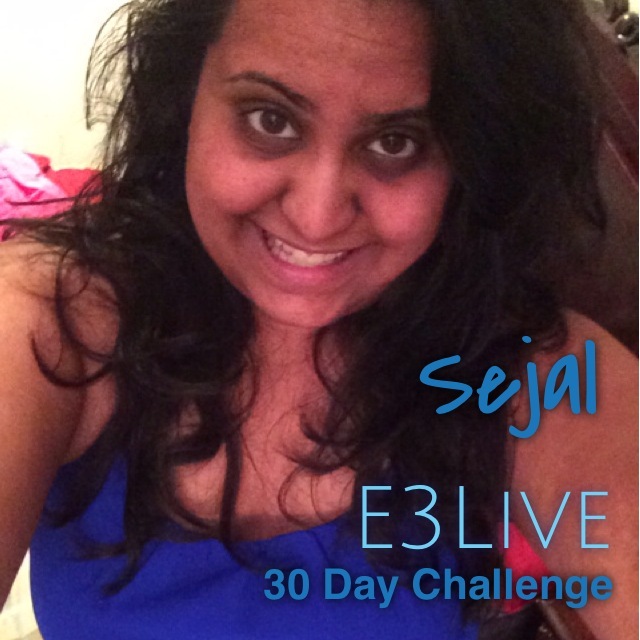 Sejal wants to get fit both mentally and physically. She wants to prove that if she can do it everyone else can do it!